The union representing Toronto Paramedic Services says frontline workers are "totally exhausted" due to short-staffing ahead of the flu-season surge in 911 calls. The union representing Toronto Paramedic Services says frontline workers are "totally exhausted" and at a breaking point due to short staffing ahead of the flu season surge in emergency calls. 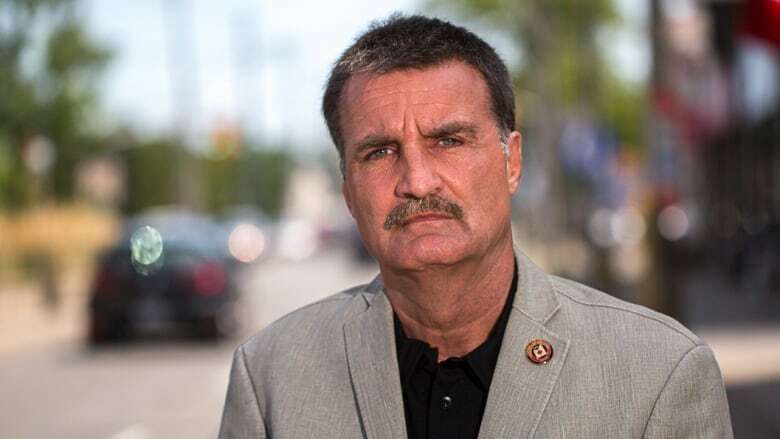 Mike Merriman, the paramedic and EMS unit chair for CUPE Local 416, sounded the alarm last week about an ongoing staffing shortage in Canada's largest municipal paramedic service — a problem he contends is posing a risk to public safety. "They're just getting run into the ground. They can't work 12, to 13, to 14-hour days with no lunch, running continually from call-to-call. It's killing them," Merriman said in an interview with CBC Radio's Metro Morning. "The pace is absolutely gruelling and it's inhumane." Meanwhile, the province says it's aware of the ambulance shortage and is working with the service to find solutions. Last Friday, the union issued a "code red" because the number of available ambulances dipped below 16, a benchmark the union set to ensure adequate resources for emergency healthcare services. Only 10 ambulances were free to respond to emergency calls at 1:30 p.m. that day, Merriman says. <a href="https://twitter.com/hashtag/CodeRed?src=hash&amp;ref_src=twsrc%5Etfw">#CodeRed</a> <a href="https://twitter.com/hashtag/systemcritical?src=hash&amp;ref_src=twsrc%5Etfw">#systemcritical</a> <a href="https://twitter.com/TorontoMedics?ref_src=twsrc%5Etfw">@TorontoMedics</a> 10 Ambulances available at 1:30pm today. While Toronto has a population of 2.8 million people, paramedics can be responsible for upwards of 3.5 million people who commute to the city for work during the day, the city says. This means only one ambulance was available for every 350,000 people last Friday. "It's ludicrous and it's getting worse," said Merriman, who has been a paramedic for nearly 30 years. But a city spokesperson claims the number of ambulances required at any given time in the city is "fluid" and the service has a "dynamic system" designed to ensure continuous coverage to all emergency calls. "Public safety is not at risk," Tammy Robbinson said. The union, which represents 1,077 paramedics and 125 emergency medical dispatchers, has sounded the alarm three times since Nov. 25, warning the number of available ambulances is critically low. That day only 16 ambulances were available at 3:30 a.m.
<a href="https://twitter.com/hashtag/CodeRed?src=hash&amp;ref_src=twsrc%5Etfw">#CodeRed</a> <a href="https://twitter.com/hashtag/systemcritical?src=hash&amp;ref_src=twsrc%5Etfw">#systemcritical</a> <a href="https://twitter.com/TorontoMedics?ref_src=twsrc%5Etfw">@TorontoMedics</a> at approximately 18:00 hours had 13 Ambulances available. Three days later the number of available ambulances dipped further to 13 at 6 p.m.
Merriman describes a system bursting at the seams and paramedics who are burning out. "They can't keep going at the pace they are," he said, adding that there's "absolutely no surge protection" to deal with a higher volume of calls caused by a flu outbreak or mass casualty events, like the Danforth shooting and the van attack on Yonge Street. Coun. Jim Karygiannis says he's "gravely concerned" about the frequency of code reds. 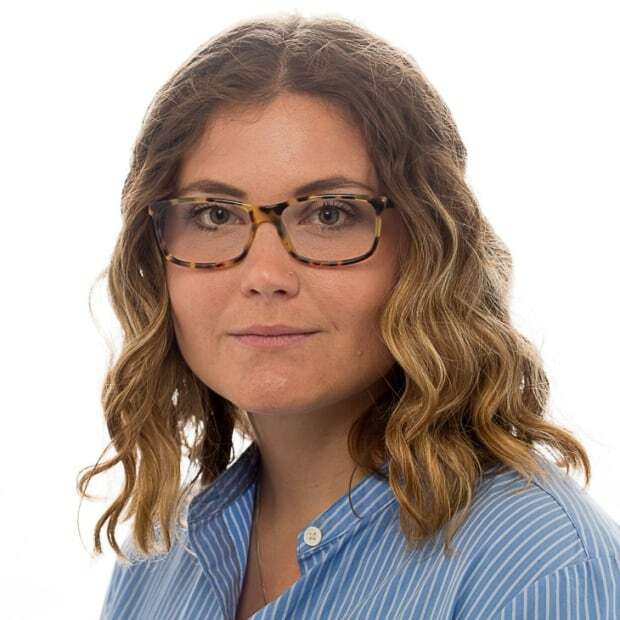 "One in a month I can understand, but three in the last week is unacceptable," the Scarborough-Agincourt councillor said. "This practice has got to be stopped." Don Peat, the mayor's director of communications, wrote in a statement that John Tory has been working alongside Toronto Paramedic Services to ensure emergency responders are "where they are needed, when they are needed." Five years ago, the city took steps to improve paramedic staffing levels following the death of an 87-year-old woman who went into cardiac arrest after waiting three hours for an ambulance in December 2012. A CBC News investigation learned seven ambulances were dispatched to her location, but were then diverted to other calls. Her death put a spotlight on the paramedic service's stretched resources and led to a widespread outcry from advocates for the elderly. 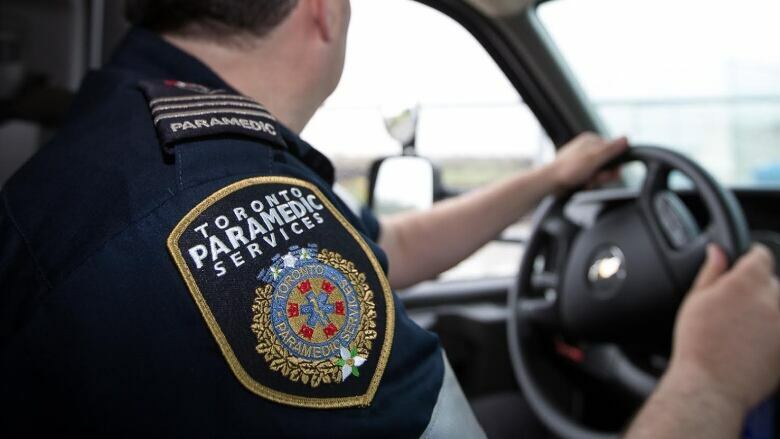 An internal investigation resulted in a scathing 52-page report that found there were too few paramedics on the road and outlined eight recommendations, including better handling and monitoring of lower-priority calls, as well as hiring 200 new paramedics. Between 2013 and 2016, Toronto city council increased funding to hire an additional 220 paramedics following a nearly decade-long freeze. But the push for more resources has since tapered off and situations when no ambulances are available are becoming more commonplace. Staffing levels are "fast approaching a crisis," Merriman said, due to a 5.4 per cent increase in ambulance service calls, and the cap the city has placed on the service over the last two years. The city's budget for the paramedic service was around $211 million in 2017. That funding marginally rose to $215 million in 2018 — a two per cent jump — and saw 19 paramedics hired. This new reality, however, is the amount of on-duty paramedics is "falling way behind the curve" to meet the demands of a growing and aging city, says Merriman. While emergency calls are up this year, Robbinson says it's normal and that dispatch services will re-assign ambulances to higher priority calls as necessary. "These volumes are historically higher at this time of year due to the cold and flu season, which also impacts emergency department patient volumes," she said in an email. But Merriman is worried, pointing out that flu season hasn't really hit and the service is already experiencing a staffing crunch. "We haven't really felt the brunt of it yet," he told Metro Morning. According to a Toronto Public Health spokesperson, flu season peaks at the end of December and again in February and March. Merriman says paramedics are already bracing for an increase in the volume of emergency calls. "If it's anything like January 2018, it's going to be a rough ride," he said. 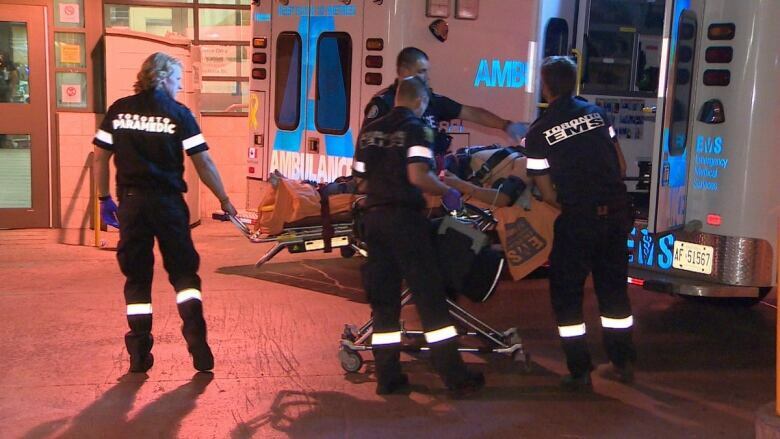 Emergency medical services across Ontario are facing growing demands and restrained budgets. Karygiannis says ambulance crews are sometimes spending entire shifts waiting with patients in hospital corridors, rather than on emergency calls, because of overburdened emergency rooms. "The turnaround time has to get quicker," he said. "There has got to be integration between ambulances and hospitals." According to the city, when the first code red was issued on Nov. 25, 41 of the 57 ambulances on duty were either assigned to calls or waiting at the hospital. 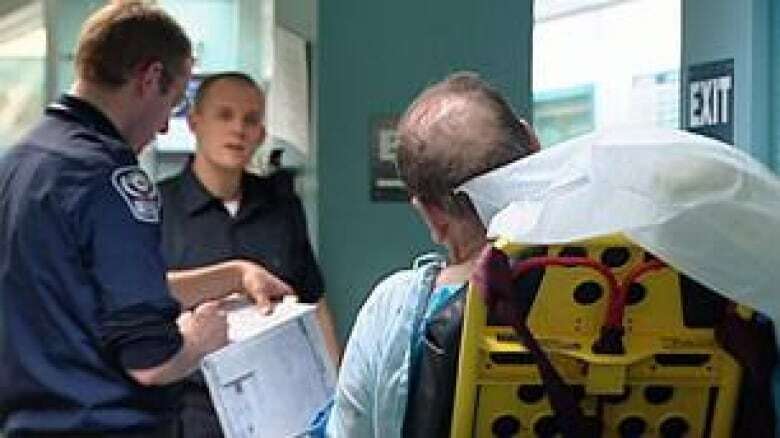 The previous Liberal government took steps to overhaul Ontario's ambulance system last year by redirecting some patients with less pressing needs to places other than emergency rooms to reduce patient offloading times. The new system looked at allowing paramedics to provide on-scene treatment as well as to refer patients to primary care or community centres, instead of hospitals. 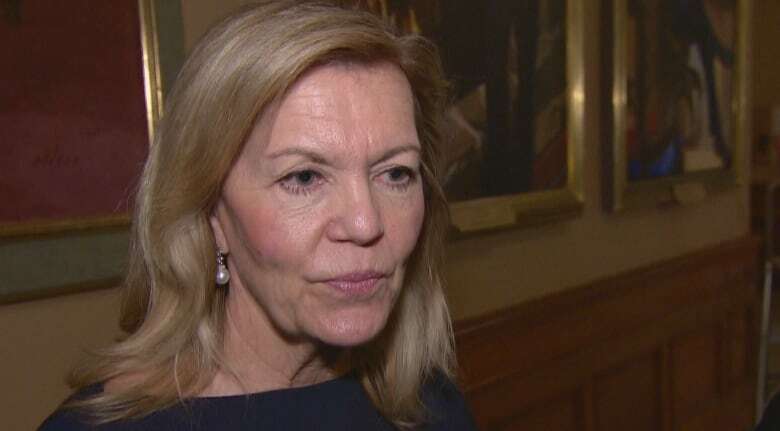 While the plan was put on hold when the Progressive Conservatives won the spring election, Health Minister Christine Elliott told CBC News on Monday the province is in talks with Toronto Paramedic Services about new ways to curb the emergency room backlog. "We were elected to end hallway healthcare," she said, referring to one of the Premier Doug Ford's keystone campaign promises, which included adding more hospital bed spaces. One way, Elliott explains, is to cut back on the time paramedics spend in the emergency department. "We're looking at things like training nurses to do the hand-off from paramedics when they come," she said during question period. "We want to make sure that the patient care is seamless so the patient can be handed from one healthcare provider to another in a safe manner."